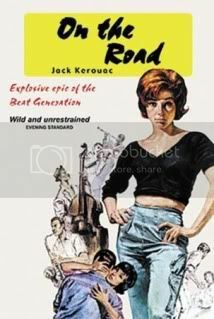 During publicity for her Oprah taping, Kristen revealed to USA Today that she will star as Marylou in the big screen adaptation of Jack Kerouac’s classic, On The Road. OMG!! I live in Quebec (Canada) and i read on a website that the producers of “On The Road” are in Quebec to see if they could shoot the movie here!! It’s means that if they choose to shoot the movie in Quebec, Kristen Stewart will come out here this summer!!!!!!!!!!!!!! I hope they’ll choose our province, it’s would be sooo AMAZING!! Can’t wait to know their final choice! Log in | 53 queries. 1.104 seconds.